Home / Business Updates / SuperSerials / Tech Makoda / WildCat International / ALTAF RAJA & VENUS WORLDWIDE ENTERTAINMENT CREATE HISTORY! ALTAF RAJA & VENUS WORLDWIDE ENTERTAINMENT CREATE HISTORY! For the first time in the history of Bollywood & Indie music, Altaf Raja along with Venus Worldwide Entertainment uses the words "Ankhen & Naina" 118 times in their forth coming single 'Madmast Teri Aankhen' "We have used the words Ankhen & Naina 118 times in the song. However, each time these words are used it captures different essence & emotions. 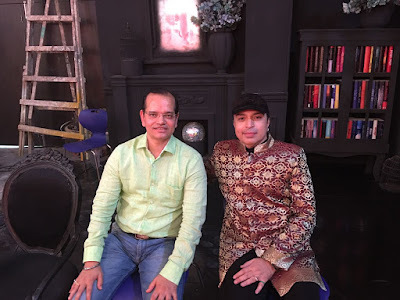 They can be perceived differently to different people & that's exactly what we have tried to express"
After a long hiatus, Altaf Raja is making a comeback on the music scene with his latest album "Madmast Teri Aankhen" released under the banner of prestigious music label Venus Worldwide Entertainment. The legendary singer has been exclusively associated with the record label for over two decades and the association has delivered more than 100 hits like ‘Tum Toh Thehre Pardesi’, ‘Mujhe Apna Bana Lo’, 'Pahle To Kabhi Kabhi Gum', 'Aankh Hi Na Royee', 'Jab Se Door Lage Ho Rahane', 'Ja Bewafa Ja' and more "We have delivered some of the biggest hits together. Venus as a record label is a name to reckon. I have worked with many labels & music directors but the rapport & comfort I share with Venus is unmatched"
Venus Worldwide Entertainment’s Champak Jain said, “Altaf Raja is very talented and much popular amongst all in the music industry. We have been with him even when his first album released, so this time we releasing his album is certain. His innovation & exceptional creative power to make songs unique is a quality we believe in. It is for the first time in the history that a singer has used words Ankhen & Naina 118 times without sounding repetitive. Altaf Raja fans have been waiting for a song as melodious & Madmast Teri Aankhen"
When Altaf Raja sings, nothing can dilute the enthusiasm level of the audience, which transcends into a completely different zone altogether. Yes this is the magic of the the singer, who became a household name after his album Tum to Thehre Pardesi was released in 1996 and since then he has never looked back.